Sydney professor Martin Green from UNSW has beaten out Tesla Musk to win the $820,000 Global Energy Prize for his work in the field of photovoltaics. Green will share the prize with Russian scientist Sergey Alekseenko, who is an expert in the field of thermal power engineering. Professor Green is Director of the Australian Centre for Advanced Photovoltaics at UNSW. According to the ABC he’s a leading specialist in both mono and polycrystalline ilicone sole cells, having invented the PERC solar cell (PERC cells represent just under a quarter of the world’s silicon cell manufacturing capacity (as of end of 2017)). We’ve written plenty of articles about UNSW solar – they’re involved in general solar power research, have launched the SunSPoT solar potential tool, and they have also recently signed a 15-year corporate PPA (Power Purchase Agreement) with Maoneng Australia and Origin Energy to become 100% solar powered, thanks to Maoneng‘s Sunraysia solar plant. 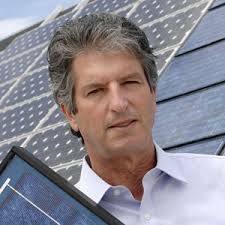 In 1989, Professor Green and his team were responsible for the solar cells in the first photovoltaic system. In 2014 he was able to double 1989’s energy conversion efficiency of 20% to 40%. UNSW President and Vice-Chancellor Professor Ian Jacobs told the ABC that Professor Green had “delivered truly transformational outcomes in renewable energy for more than three decades”. “Martin is a highly deserving recipient of this global prize and we warmly congratulate him,” he said. “His fundamental and applied research has transformed the global energy sector and will continue to produce major economic and social benefits, both in Australia and worldwide.” Professor Jacobs continued. Professor Green said receiving the award was “a great honour”. “The efficiency of solar modules is an area whose progress has been faster than many experts expected, and this is good news,” he said. This is a fantastic reward for one of Australia’s solar stalwarts and we salute Professor Green for his ongoing work with solar power technology. Australian solar cell research gets $29.2m grant. China-based JA Solar Holdings Co., Ltd., announced that their 60-cell PV modules (assembled by moni-Si PERC cells) have exceeded 325W (326.67W, certified by TÜV SÜD), which is a new world record for that type of solar panel. “Setting a new world record of over 325W output power from a 60-cell mono-Si PV module is remarkable achievement enabled by PERC technology,” said Dr. Wei Shan, Chief Technology Officer of JA Solar. The average power output of JA’s 60 cell PV modules using moni-Si PERC is currently 300W, so it’s great to see them advance the technology further – they’ve been working with PERC cells for a long time and are one of the market leaders in research and manufacture of these solar modules. JA Solar filed an invention application in 2010 for its industrial PERC cell structure and method of production, according to RenewEconomy. In 2013 they were the first company to break 20% sunlight-energy conversion efficiency by using a screen-printing metallization process – starting commercial production of the modules in 2014. PERC (Passivated Emitter and Rear Cell or Passivated Emitter and Rear Contact) technology is able to increase efficiency by allowing electrons to flow more freely.It also makes the back of solar cells more reflective, increasing efficiency again. This is another small but significant step forward for solar panel technology, which is starting to look for alternatives to the conventional silicon cell, such as perovskite. 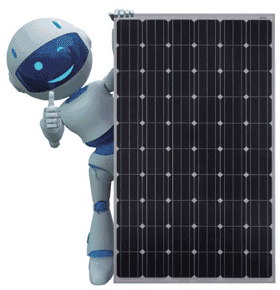 JA Solar panels are a popular ‘tier 1’ solar panel in Australia as they are reasonably priced and perform well over a long period. They’re certainly not the most expensive panels out there and in terms of bang for buck, we are happy to recommend them to those considering installing a solar system in Australia.